Scholars at Michigan State University and officials with the Michigan Municipal League have both been using a “dead last” theme as they argue that Michigan taxpayers and elected officials have failed to deliver the amount of money they believe is needed to operate high-quality public schools and municipalities. In both cases, the argument depends on downplaying Michigan’s devastating one-state recession of the 2000s and the impact it had on Michigan's residents. But the state has rebounded and overall spending by the State of Michigan has increased nine consecutive years. 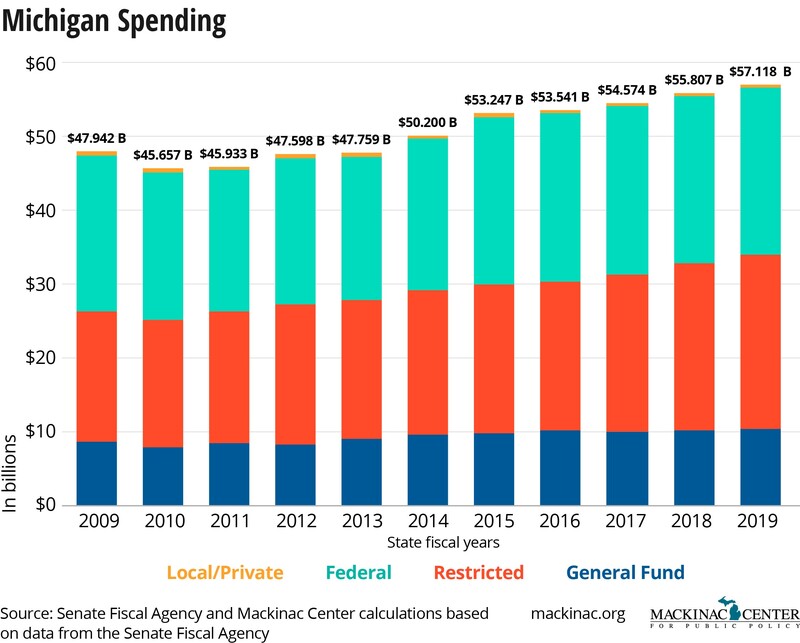 Here’s a chart that shows the total amount of annual spending by Michigan’s state government for the past 10 years.